A few years ago, I received all three Extended Edition “Lord of the Rings” DVDs for Christmas. Though I wasn’t in the mood for watching the movies at the time I wanted to make sure all the discs were in good shape before I placed them in my video library. Coincidently, my wife showed an interest in these movies—she was one of the few people I know who enjoys cinema, but didn’t see the epic trilogy on the big screen. She decided to watch the films with me to find out why these films received so much media attention. Inside of a week, my youngest son and I watched the three movies with her—my son and I serving as guides helping her remember the odd names; explaining the differences between humans, hobbits, elves, and orcs; and holding her hand through parts of the story she “just couldn’t wrap her head around,” to quote my son. After the trilogy’s climax, when Frodo dispensed with the cursed ring and Gandalf, on a giant eagle, picked him up along with his bodyguard Sam, my wife sat up and looked at me with a mixture of anger and frustration. I can’t remember exactly what she said, but it went something like this: “Are you kidding me? We just suffered through over nine hours of Renaissance fair drivel only to find out that the old guy could have flown over the volcano and dropped the ring in himself—he’s got that big eagle thingy!” While I could have told her that the Eye of Sauron would have noticed the conspicuously large fowl and would have made it difficult for Gandalf to do the game-saving slam-dunk, I simply said that there wouldn’t be a story if our heroes didn’t go through all the trials and tribs first. Of course, she didn’t buy my simple reasoning and her rage reminded me of how mad I felt after seeing a truly horrible film. Recently, while wasting my time on YouTube I came across a clip from the John Waters film Desperate Living—a film my college friend Paul and I watched back in the 80s. In it, a neurotic wife, played by Mink Stole, yells at an errant phone caller the very thing I used to think when having to sit through a horrible film: “How can you repay the 30 seconds you have stolen from my life?” Since I used up countless hours of my precious finite existence watching filmmakers’ bile and gaining absolutely nothing from them, I often felt like Waters’ neurotic character as well as my wife after the Tolkien trilogy. I would get more enjoyment cleaning out colostomy bags or handing out Watchtower and Awake! magazines door to door. I think I have viewed more rotten cinema than most people have watched any quality of film. Many of these rotten examples of cinema were films I reviewed for a video guide twenty years ago. The idea at first was great: I would write for a nationally distributed video guide; I wouldn’t receive payment, but the movie rentals for the assigned titles and all the ones I wanted to watch were free. How could this be anything but a plus? Unfortunately, after receiving the first list of titles to review I found that nearly all of these videos were found in the “Direct-to-Video” section of my local video store—which is to say these films never made it to the big screen. I would watch the films in my parents’ room sparing them the pain of pre-empting there regularly scheduled programs. When I finished viewing the really rotten ones I always asked myself if this was really worth it; I could have hanged out with my friends or maybe taken in a good movie, or maybe go to a play, or a club. Anything, even suffering through a syndicated episode of “Happy Days,” would be better than “Christmas Evil,” “Bloodbath at the House of Death,” and all the other titles with the word “blood” in them that I was expected to watch, rate, and come up with words to justify my rating. It is not surprising that I gave the “turkey” (aka the 0-star) rating to many of these films. One might understand why an aspiring writer might play the role of the bottom feeder in a movie video guide project—my work was being published and that’s what counted. Ultimately, the price was too high and after four years, I quit. 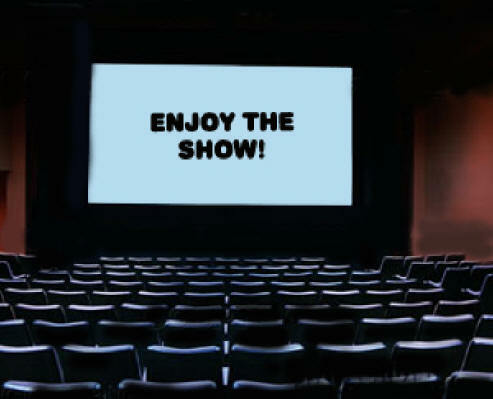 Money was not the issue, since I was viewing these films free, but what about the theatrical releases—the films I viewed for my own enjoyment? This was a misery laced with anger. Paul and I once sat through the abomination “Yellowbeard.” It just may be the worst comedy ever produced by a major studio. While there is nothing as funny as a horrible horror film, there is nothing as horrible as a bad comedy. I know that I blow the same amount of money on things that are just as much of a waste of time, but I believe there is an informal contract that filmmakers and film viewers go into when paying for the ticket. The viewer pays the industry to make, distribute, and present the film to entertain the viewer. Much like slipping some coin in a jukebox to hear a good song. Welcome to Flickimark’s Time Reclamation Machine. Tonight, January 17, 2009 at, 7:30 p.m. you purchased a ticket for Bride Wars. You demanded back the 90 minutes you spent watching this film. The time is now 7:30 p.m., again. Please remember to reset your watch. We hope you appreciate this service and return to Flickimark Cinemas. While sitting through a movie like “Red Dawn” would make me as angry as listening to Rush Limbaugh, there was other—equally horrible—films I actually found entertaining. For instance, while I kept my disgust to myself about reviewing most of the crap handed to me by the video guide editor I jumped at the chance to critique the works of Roger Corman, Russ Meyer, and John Waters. (I was honored he handed me the entire Waters catalog to review!) It was at this point I ran into problems with the editor of the guide. I had lost focus on what was “good” and what was “good camp”—the two blurred together and on more than one occasion I had to change my rating of some of these films from three or four stars to two, one, or even a “turkey” rating. Initially, this angered me, but seeing John Water’s “Multiple Maniacs,” which I originally gave a high rating, next to the five-star 1932 classic, “The Mummy” in the movie guide drove home the point: this was a serious movie guide, not some novel collection of camp classics. When I think of all the bad cinema I have sat through, I can’t help but wonder if I would have been a successful business man like my father or brother if I would have skipped the self-indulgence. Perhaps if I had taken journalism seriously and skipped the free movies for an internship at the local metropolitan paper I would be a respected reporter by now. Maybe I had done something with my life that would have added up to something more than what I got watching “Silent Night, Deadly Night,” but a part of me thinks I just couldn’t have stood the boredom.